The successful candidate will work with a team of Automation Engineers on all projects undertaken by the Company. Developing and leading projects for PLC programming and HMI screen development are key aspects of this role. He/she will work in a multi platform environment with software including but not limited to Beckhoff, Allen Bradley, Siemens and will mentor and lead an Automation team throughout each project. Working closely with the engineering design team to develop process flow diagrams, software design specifications and test plans for automation projects will also be an integral part of the role. The candidate will require a strong background in automation/software development with excellent team leadership qualities. He/she will require an understanding of the full cycle of software/application development with strong analytical and trouble shooting skills. Excellent interpersonal and communication skills are required for this position. Third level qualification in electronics, automation, computer science or other relevant engineering discipline. Minimum of 5 year’s experience in hands on PLC programme development in Beckhoff, Allen-Bradley, Siemens with experience in HMI screen development. Ability to lead and mentor a team of Automation Engineers. Strong communication (verbal and written) with excellent interpersonal skills. Excellent organisational skills with the capability of managing multiple projects. Computer skills – Microsoft office suite. MS project an advantage. Develop, install and debug code for new machines in line with specified customer requirements. Analyse, understand, fault-find and modify software programs. Develop process flow diagrams, functional design specifications and test plans for all automation projects working closely with the engineering design team. Develop and lead projects for PLC programming, HMI screen development, system integration and testing of same within the final machine. Lead and mentor a team of Automation Engineers, ensuring clear goals, objectives and deadlines are in place and are achieved. Ensure team focus on the key principles of software quality – maintainability, dependability, efficiency & usability in terms of code structure, documentation, revision history and storage. The Automation Engineer will work and communicate closely with the automation team both in-house and external developers, project designers, electricians and operations to ensure all inputs and requirements are considered and projects of a high quality that comply with standards are delivered in a timely and cost effective manner. Organise and attend meetings and address any follow up actions as required. 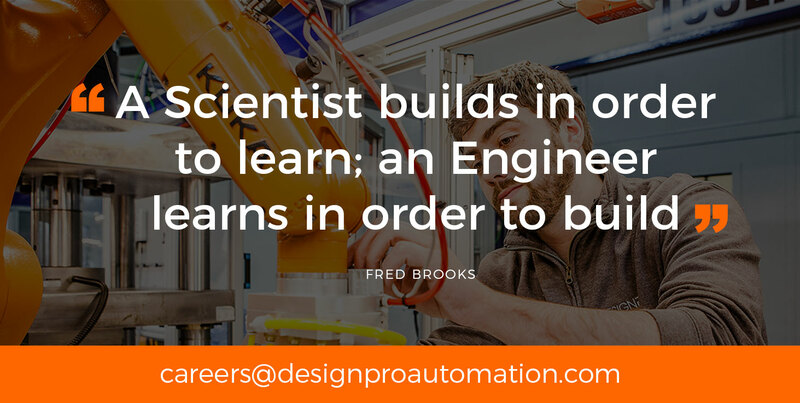 Develop in-depth technical knowledge of different automation systems. Reporting on all project activity ensuring an up to date project status is readily available. Work with the R & D team to build knowledge on new technologies.